My sister-in-law got this for me for Christmas and it is the coolest gift ever. The base needs to be plugged in, and once it is the moon will levitate, spin and LIGHT UP giving you an amazing little moon lamp. Spacey Knives for the curious friend who can’t have enough space stuff. Sold on Etsy and profits benefit the Brooke Owens Fellowship, for which I am a mentor. 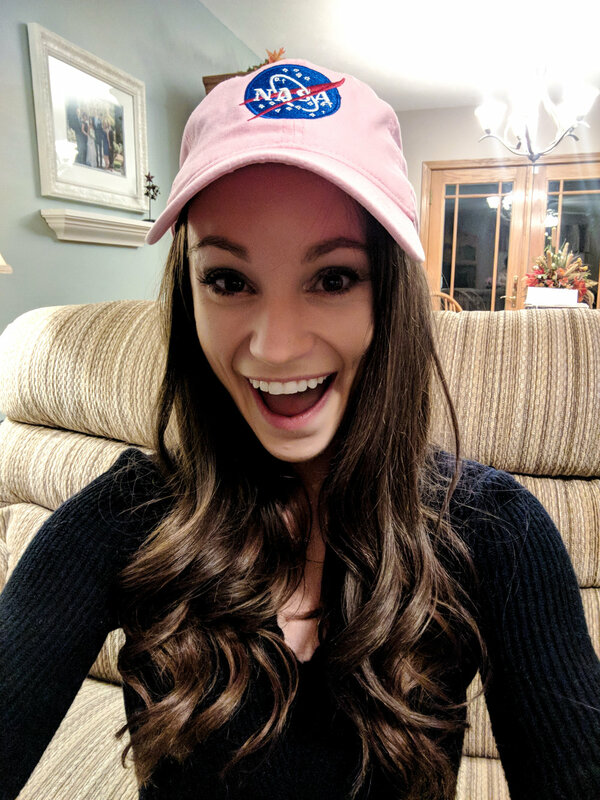 The Brooke Owens Fellowship supports women in Undergrad who want to pursue a career in the space industry. I'm wearing a Women's size Small. 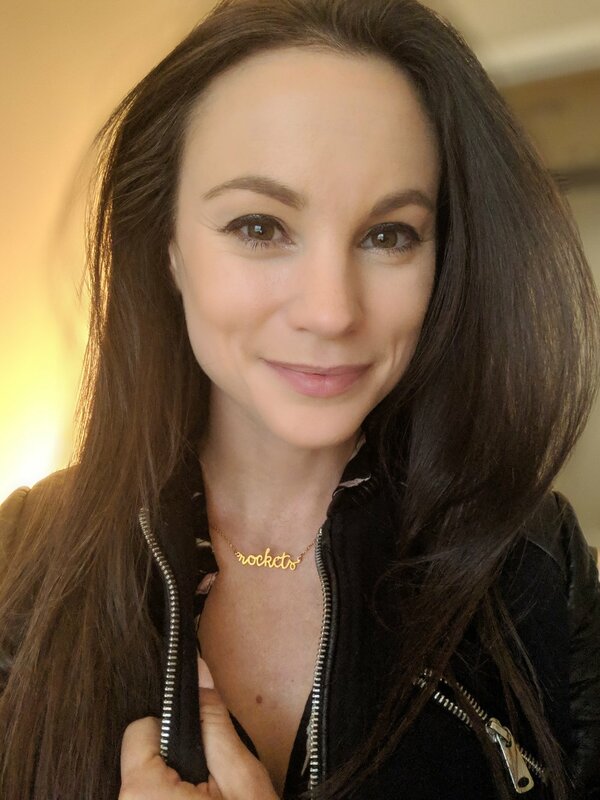 This is my favorite minimalist star necklace that I wear every single day. I even wear it in the shower and it still looks as good as the day I got it - high quality stuff. Available in silver, yellow gold, or rose gold. For the scientist in your life who loves wine but can never truly leave the laboratory. This is my new go-to Airport shirt. It's comfy and soft and only 17 buckaroos. I'm wearing a small. 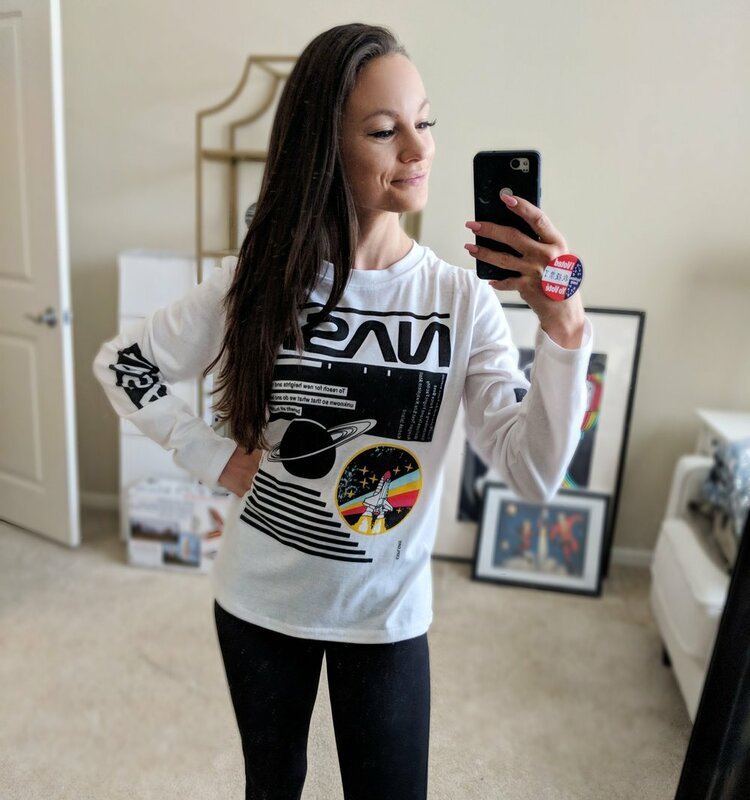 One size fits all - great gift for the NASA fan in your life. I just made this on Etsy and thought it was cute. I’m linking to one that will make the letters a little smaller than this because I think that would be more minimalist and stylish than this one. You can customize it to say “scientist,” “engineer” or whatever you like - it’s meant to be name necklace for bridesmaids or something, but it’s cooler this way. I'm obsessed with these MOVA globes. When you put them in natural light, they spin. This is a perfect fancy gift for your STEM friends. Looks like the Jupiter one is sold out on Amazon - so I’m linking the Mars globe here (I also have that one - I’m a bit of a collector if I do say so myself). Michael Kors limited edition rocket clutch - this is sold out on Amazon / Michael Kors, so I’m linking to one on Ebay here. This is from the same company that makes the Constellation Necklace - I wear these earrings basically every time I film for Xploration Outer Space. I love them so gosh darn much. They’re dainty and spacey - a perfect combination. Available in silver, yellow gold, or rose gold. This projector allows kids to shine 24 different space images on their wall. From a solar eclipse, to space walks, to the swirly atmosphere of Jupiter - this is a great toy to help teach young kids about space. A fun kit with 11 different science experiments for a good price $12 on Amazon Prime right now. For ages 6+. This little kit has over 1300 5-star reviews. Great little gift for the Holidays. This best-seller on Amazon is great for the kid who loves nature. Appropriate for all ages. It comes with Terrarium jar , light-up jar lid, Micro-USB charging cable, clear and easy step-by-step instruction booklet for all ages, soil, blue sand, river rocks, wheatgrass and chia seeds, small bunny and mushroom miniatures, removable stickers for decoration, spray bottle, and wooden stick to aid in planting the seeds. This is a great first chemistry kit for the kids in your life! I’ve played with it myself and I love it. Great for budding chemists age 8-12. 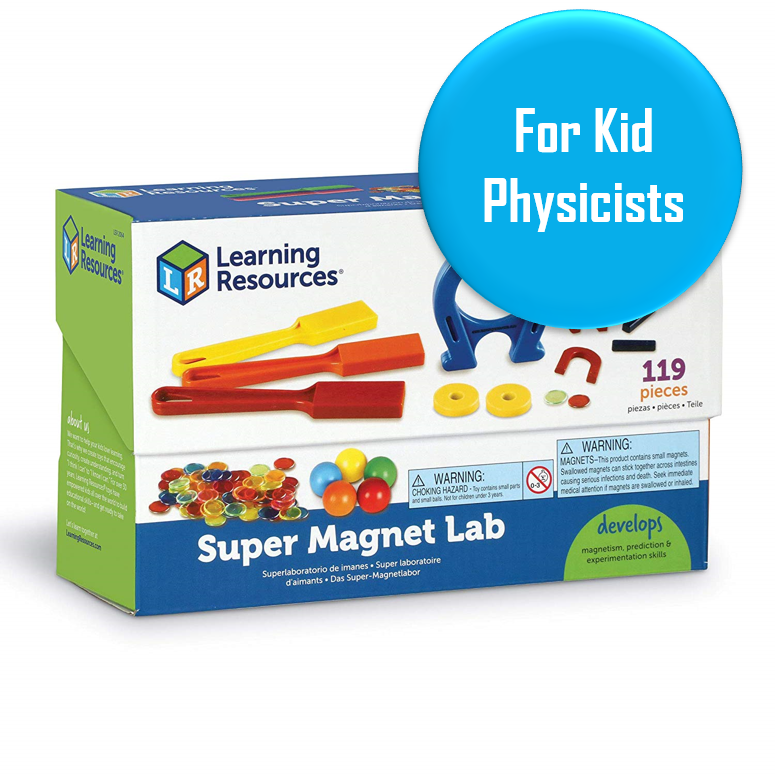 This lab kit is a great beginner science kit for the kid who loves experiments. Mix food coloring and water and see how it swirls together, or Alka Seltzer and water to watch water bubble, or olive oil and water to see what floats on top. Obviously, I' highly recommend my STEM-driven Ada Lace books as a gift for any 6-10 year olds in your life! They’ll be so engulfed with the story that they won’t realize they’re learning about science and tech along the way! This is a buildable, codable unicorn robot from UBTECH robotics. It has a bunch of 5-star reviews on Amazon and people seem to absolute love this. They have another one that looks like a transformer/truck if your kid is more into that! Recommended for ages 8+. 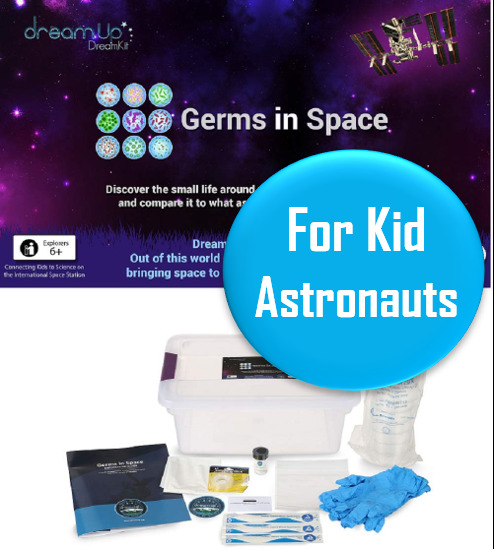 DreamKits “Germs in Space” is a great way to bring space-based research into your home or classroom! Compare the science experiment that you do here on Earth to the SAME experiment done in space! How cool is that? 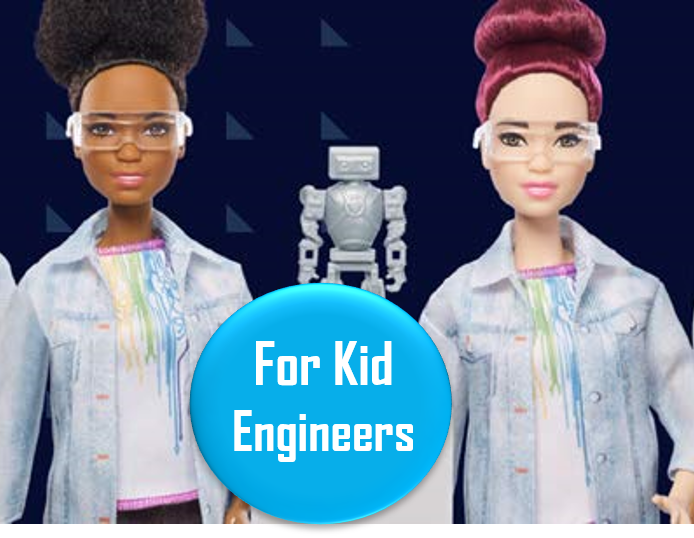 This is a great STEM doll for kids ages 3+. 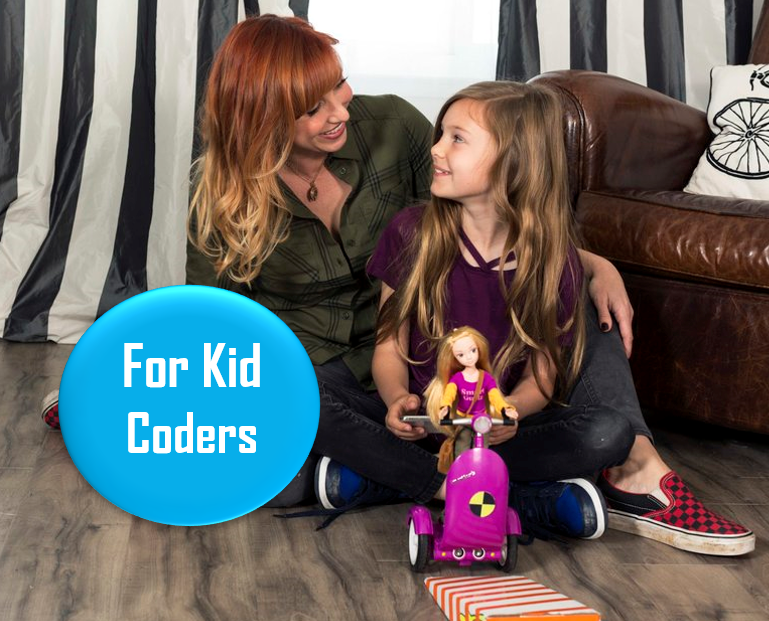 They’ve even partnered with Tyker to help introduce kids to online programs that teach them how to code. Comes with a toy robot and a laptop. Try not to fall in love with this adorable little robot that you can code yourself. My husband and I have one (yes, we know it’s for kids!) and I love it so gosh darn much. This little robot has over 300 5-star reviews on Amazon, so it’s basically guaranteed to be a good gift.